We've been talking about the subject of crowdsourcing and gaming for the Biodiversity Heritage Library for several months now, but as it is outside any BHL project funding, no one has taken on the challenge. During last month's Life & Literature Conference I led the Technology breakout session, and the subject of gaming came up again, but this time with the caveat that it should have a purpose - as in, creating a game out of BHL content that works to enhance the data contained within BHL, like defining article boundaries, setting page types (e.g., map, illustration, text, blank), rekeying scientific names, etc. I think the purposeful gamification of BHL would be a huge opportunity to make BHL an even richer resource. Other digital libraries are taking this approach. The National Library of Finland leads the pack with its "DigitalKoot" project, which features different Facebook apps that have players rekey suspect text in OCR via games that, in one example, builds bridges for moles to find love. I've played them. They're kind of fun. I've ended up killing a lot of lonely moles because I don't have the right characters on my US keyboard. You could imagine BHL putting its OCR into the same games for improvement. But I actually want something else - I want offline games. DigitalKoot runs through Facebook, so I have to be connected to play. I travel internationally, so I spend a lot of down time on planes and I turn off data roaming on my iPhone whenever I reach my destination because it's incredibly expensive. Who the heck wants to spend hundreds of euros rekeying Finnish OCR? But if I had an offline game, one that didn't require me to always be connected to the Internet, I could spend LOTS of time doing this kind of purposeful gaming. I was asked to expand on this idea a bit today while in Brussels for a BHL-Europe meeting. I was finally able to put it together in a way that made sense for people - I want a game like Angry Birds that I can play while I'm standing in a long grocery store line, or flying, or on a train...basically any time that I have some spare cycles. And when I described this as "spare cycles" it brought me full circle to a project we did in 2005 called SciLINC ("Scientific Literature Indexing on Networked Computers", my best acronym ever, thank you very much). SciLINC was a project that used the BOINC framework, which is open-source software for volunteer computing and grid computing, to find scientific names in literature, preceeding our work with TaxonFinder. The BOINC platform grew out of the SETI@Home project, where users downloaded software that ran as a screensaver and used the spare cycles of an unused computer to crunch through radio waves looking for signs of extraterrestrial life, and then reported the results back to a main server when the computing job was done and when it had a live network connection. In the SciLINC project we packaged up OCR text and sent it to volunteer computers along with an algorithm for finding scientific names. It was a wonderful demonstration, but we ran out of jobs in about 2 days because text indexing isn't processor intensive; the best BOINC projects take small inputs that require lots of computing resources. Lessons learned (final report here, & appendix). In doing the project I gained an understanding of how jobs are packaged for distribution to volunteers and the kinds of inputs and outputs that are successful in an asynchronous computing environment. So to bring this all together, I want a gaming system that improves the metadata in BHL. I want it to be asynchronous and offline so that I can play the game using my own spare cycles (time & brainpower) whenever & wherever and then upload my results to the "game master" when I'm next connected. To do that requires that the system sends me packages of data that don't wreak havoc on a mobile data plan (small inputs), but that give me enough tasks to work on with all of my spare cycles on planes. 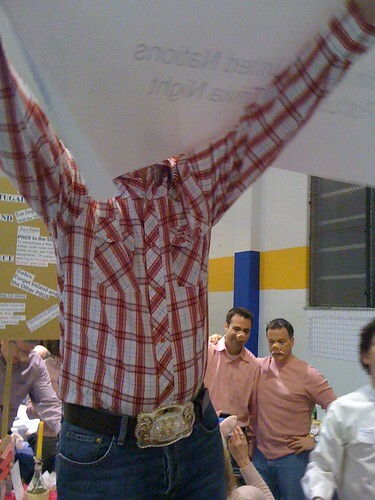 The tasks have to result in improvements in BHL, not just throwing birds at pigs. And it has to be fun. And it should probably have a killer soundtrack (Tetris, anyone?). ***Update Sep 26, 2013*** It was announced today that BHL, through Missouri Botanical Garden, received a National Leadership Grant for Libraries from the Institute of Museum and Library Services for a project to develop & evaluate purposeful gaming techniques for crowdsourced metadata enhancement. Kudos to the team for operationalizing these ideas!! 14-15 November, 2011, Field Museum, Chicago, Illinois, USA. http://www.lifeandliterature.org. I especially like "Freeland is a self-described open-access evangelist, encouraging other herbaria and museums to share their collections as openly as possible." Open Data #FTW! The intersection where I didn't die in 1998, originally uploaded by chrisfreeland2002. I should not be here, writing this. In 1998, at 23 years old, I was hit by a car at this intersection in New Orleans and but for the grace of God I did not die. I jumped. At the last second. And I don't know why. In the middle of the day my partner (just "boyfriend" at the time, having dated less than 6 months; it's now been more than 13 years) and I were crossing the street. We had been on vacation at his family's place in Pensacola Beach, Florida, and then finished up the week with a crazy weekend in New Orleans. I've had crazy weekends in Nola before-one in 1996 that gave me freedom in ways that aren't appropriate for mention here, one in 1997 that confirmed the relationship I was in at the time was doomed, and then this trip. We were coming back from a day trip to the Garden District. We were walking up Peters Street to find a place for lunch, and decided to cross the street at Decatur/St. Louis to go to the Hard Rock Cafe. As we crossed the street, a drunk driver hit me. I saw it all happen in slow motion. She was driving a green Beretta (ironic, given that was what my ex from 1997 drove) and as I crossed the street, with my partner a few paces ahead, she took a left turn and hit me full on. At the very last second, I jumped. She was drunk, and she didn't stop. She drove on for more than 10 feet. If I hadn't jumped, she would have run me over and I would not be alive today. That fact was almost instantly imprinted on my mind. If I hadn't jumped, I would be dead. But I jumped. And so I ended up on the hood of her car instead of under her tires. What I will never forget, as long as I am lucky to live, is the expression on her face when she hit me. She was not remorseful, she was not surprised-she laughed. She and her drunk friend in the passenger seat laughed as I landed on the hood of her car. How do I know she was drunk? Because it was obvious, to me. Because I saw her runny eyes through the windshield. In the instant that took an eternity, as I fell onto her car, I made eye contact and saw that there was no comprehension behind her gaze. And since this was the middle of the day, there were dozens of people watching this all play out, including my partner, whose reaction I can only imagine with horror. I rolled off the hood of her car and limped over to the curb. By the time I made it to the sidewalk she had driven off, she sped away, she left the scene. Bystanders got her license plate, and made sure that I was ok, which unbelievably I was. 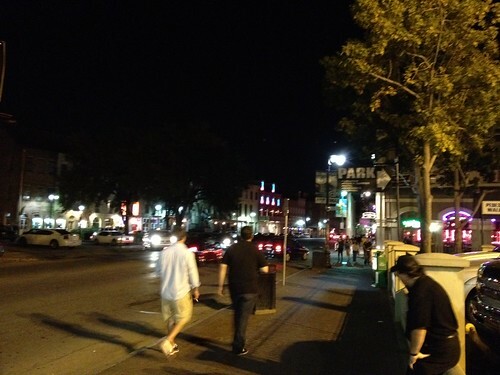 We walked up a block to the Hard Rock Cafe, the first available open business (this was all before cell phones), and called the cops. The rest of the day is an adrenaline blur. At some point I remember my partner and I in our hotel room, laying on our rented bed, crying. Not out of sorrow, but out of joy. I was alive. I had a nasty bruise on my right shin, AND THAT WAS ALL! I was alive. And so every trip back to New Orleans is a crazy mix of anticipation (because fun is just around the corner) and excitement (because fun is just around the corner) and anxiety (because sometimes that corner is dangerous). I was given a gift of unusual perspective on life at 23, and as unbelievable as it sounds, I'm glad it happened. I said this happened by the grace of God and that's truly what I believe. I did not die that day. I was spared for some reason that is unknown to me, and every moment since has been a gift. I know it sounds trite, I know it sounds simple, but it's what I believe. I try to make the most of every day because I nearly didn't have another one. I hope you can do the same. 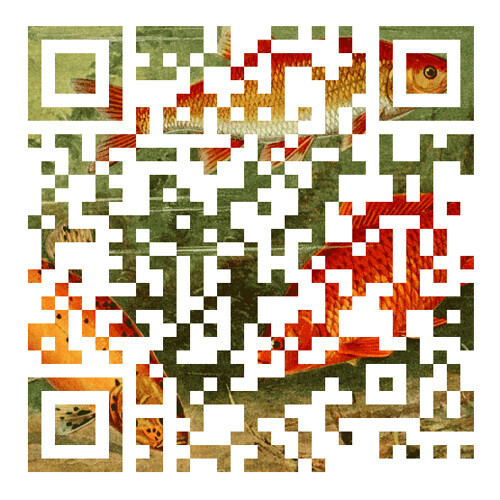 QR Code from BHL Illustration, originally uploaded by chrisfreeland2002. 9/11 Memorial, originally uploaded by chrisfreeland2002. My partner & I traveled to NYC in January 2002, less than 4 months after 9/11. People were still covering fences, trees, buildings and any other available space with memorials and fliers for those who had gone missing in the WTC attacks. The Port Authority had built a viewing platform over a section of Ground Zero that winter, and we went to view the site. It was somber, standing on the street beside Trinity Church and then walking past the hundreds of signs and posters and shrines as we approached the platform. What I remember about Ground Zero that night was that it looked like a regular construction site - bulldozers, bare earth, building materials stacked around. Nothing unusual, except for the giant American flag hanging from a neighboring building and hundreds of people walking around as if at a wake, which it was. We left the platform and walked more than a block before crossing the street to return to our hotel, passing more memorial signs, and were stopped by a traffic light. I pushed the "Walk" button on the post and stopped to look at the sign taped above it. Staring back was a smiling woman and her sister, or maybe close friend. They very clearly had a bond because of the way they were standing together. The sign was weathered and torn, as if it had been posted for a long time. Many of the other homemade signs and color printouts we had seen on display were newer and labeled "In Memoriam" but this was clearly older and posted with "MISSING" in big, black letters along the top. 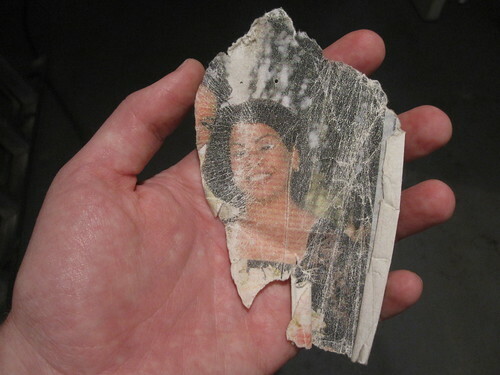 I knew that woman's family, maybe the other woman in the picture, had made this in hopes of finding their wife/sister/mother/daughter in the days after 9/11. Because the sign was weathered it was starting to tear away from the tape on the post, and I could see the ripped edges fluttering in the winter breeze. When we were standing in line we had overheard two women talking about how every few weeks some municipal authority (Streets or Port Authority, maybe even Refuse) gathered the signs and trinkets left at the site; some were kept for archival purposes but the vast majority were taken off-site and burned. Without thinking, I reached out and tore off the piece of the sign that was freed from the tape, about to blow away on its own in the wind. A woman standing behind me gasped, as if by tearing the sign I was somehow interfering with the woman's rescue, or desecrating her memory. I stuffed the piece of paper in my pocket in spite of the disapproving looks from the woman behind me, and from my partner as well. For months, years, afterwards I couldn't explain why I felt the need to take that piece of paper that night. What I knew from the start was that I didn't take it as a memento or a souvenir. What became clear to me over time was that freed section had the image of her face, smiling and full of joy, and I couldn't bear the thought of her picture becoming lost along the gutter and swept up like trash. I could only imagine that she herself, her being and her soul, had suffered far worse on 9/11, and I knew she deserved more respect than to be cast aside in body and image. I keep that piece of paper in a special place, and I think about her every 9/11, her family, and the other Americans who lost their lives that day. I don't know her name. I hope to one day, somehow. But I know I'll never forget her face. DPLA Summary from Jun mtg, originally uploaded by chrisfreeland2002. 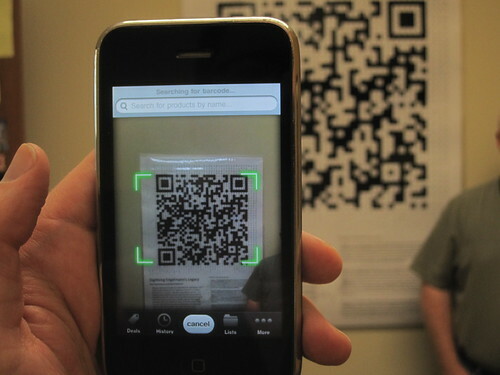 DPLA should "enable, provide, facilitate"
QR Poster for Engelmann Project, originally uploaded by chrisfreeland2002. Seeing the giant QR code started me thinking of what I could do with an oversized one in my poster, and Fischer's sculpture made me consider scale and the spatial relationship between viewer and object, and viewer and others around. At first I was annoyed at how people kept getting in my way when I tried to take a picture of the sculpture, but then I realized that I needed those people in the frame to give a sense of the true size of the object; without people it's just a lovable bear, with people it's a giant metal sculpture that could happily fall over and crush you. I decided I wanted to do a large QR code that links to the Engelmann web site as the main graphical element of the poster so that people needed to stand back a few feet to scan it with their smartphones. But there's also text that you have to be close to the poster to read, so a viewer needs to look at it up close as well as back a bit, which means that (hopefully) people will be interacting around the poster - getting in each others way, maybe apologizing for doing so, maybe talking, maybe not. Used this web site to create a QR code that when scanned, takes the viewer to the Engelmann web site. I chose this site for creating the code because it output the code as a vector image in EPS format, which I needed to scale it up poster-size. Used Photoshop to rasterize the QR code at 45"x45" at 300dpi in GIF format as input to the photomosaic program. Assembled the 1"x1" square page images with MOBOT Imaging Lab superstar Mike Blomberg's help to crop & resize the images, and corrected colors to get a set of white images and a set of black images. Used MacOSaiX to generate the QR mosaic. I used the GIF image from step 2 as the source and the 2,000+ images from step 3 as each tile. MacOSaiX did all the hard work of setting tiles in place & exporting out the results as a JPG. I then took that JPG & dropped it into a PowerPoint document sized 36"x48" I was planning to print the poster at 48" wide, and would have then used the 45" wide mosaic without scaling, but my friendly FedEx Office outpost was running a sale on 36" posters, so I scaled the QR mosaic to fit & saved more than $50! I'm pleased with it, and hope you think it's cool, too! Stop by & see the poster (and me!) if you're at SPNHC in San Francisco 23-28 May. Damn pigs looking on, making me an angry bird, originally uploaded by chrisfreeland2002.